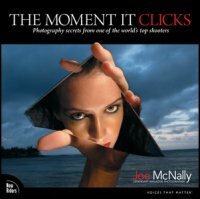 I just put down Joe McNally’s The Moment It clicks. It clicked. I don’t really know how to catalog this book, it is not a learn-photography-techniques book, not a biography and not a Manifesto. Or maybe it is a little bit of all three. When coming to review it I didn’t really know how to break the book down, there is some structure to it created by having four different chapter and some sections, but it didn’t for feel right to go part by part and review it. instead it felt right-er to review the whole thing as a whole. Most of the book is comprised of 2 page stories from Joe McNally career that he shares with the readers. each story will be about a different photograph. 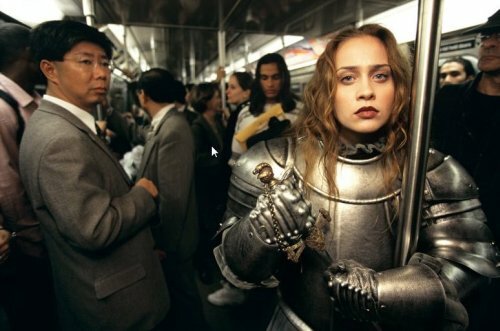 (and putting the stories aside, there are some wonderful photographs in the book, the kind that make you go, what the… no way someone could make this happen). For me each story also had something to learn. Joe is a really persistent guy when it comes to getting his shot made. And for me reading some of the stories were really inspiring (and educating) in terms of not giving up, being persistent and focusing on the job as without making excuses. The best advice I got from the book was “As a photographer is it better to ask for forgiveness than for permission”, and not that the other advice was bad. (that’s on page 74. you’ll recognize the awesome Orel Hershiser and Bulldog portrait). Will This Book teach Me How To Take Great Photographs? Not Really sure, it’s not your typical rule of thirds, and triangle book. but it will do two things. 1. It will expose you to a variety of excellent photographs, that will get you inspired and motivated. It will sometimes explain a bit about “what to do to get an image like this”. 2. it will let you inside Joe’s head. 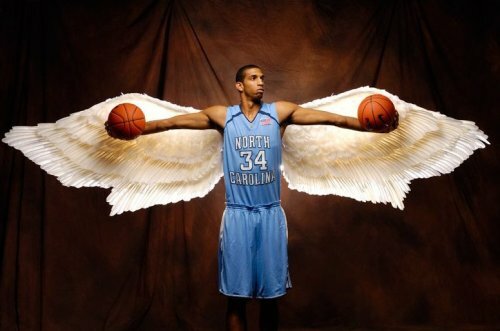 There you will find some great tips, mostly on the bigger picture that the photograph itself. About the mood, the access, the story. so I would say that while it will not teach you how to take photographs it will definitely teach you how to be a better photographer. All you have to do is listen. Will This Book Show Me The Light? Well, yes and no. I was not there when Joe McNally wrote the book, but I would assume that he assumed that if you are reading the book you have some clue about lights, and a bit more that a clue about studio and on location strobes. The book has many war stories that relates to lighting (check out the Winona Rider Story on page 50), and it sprinkled with lighting tips in frames. However, it does not cover the basics. If you are taking this book as sort of a lighting tutorial/inspiration guide I recommend going through Strobist’s Lighting 102 first. It took me 3 days to read the book and it was hard for me to let it out of my hands. It is a great source for inspiration, learning how to “get the shot”, how to “deliver”. If you have some lighting handle it will give you a push further. I know I have a few pages marked for getting inspiration and a big bookmark (the old paper kind) on the permission/forgiveness story. Oh, and Joe has a video introduction of the book, right here. If you wanna know more about Joe McNally, you can Read his Blog.